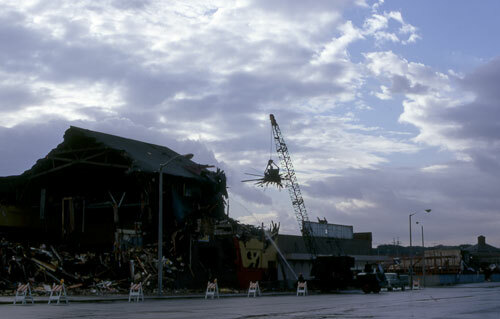 The wrecking ball took Playland at the Beach in San Francisco in 1972. 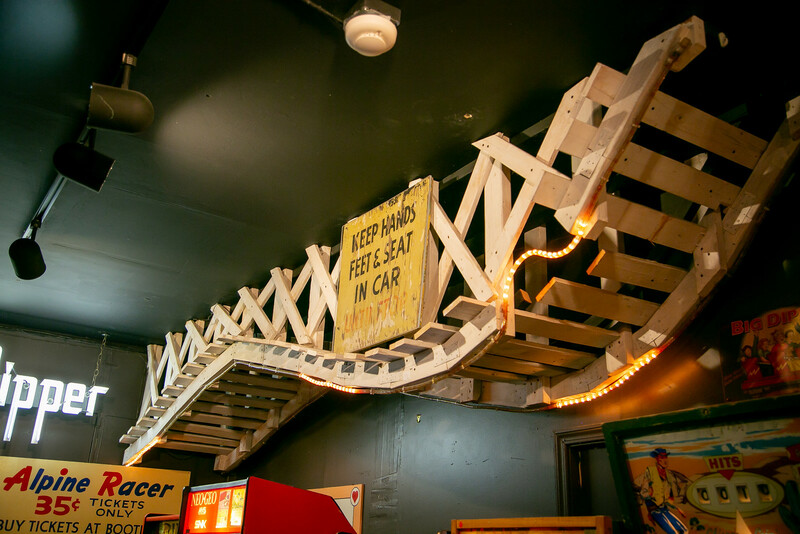 It was the end of clean outdoor fun, laughs and thrills. 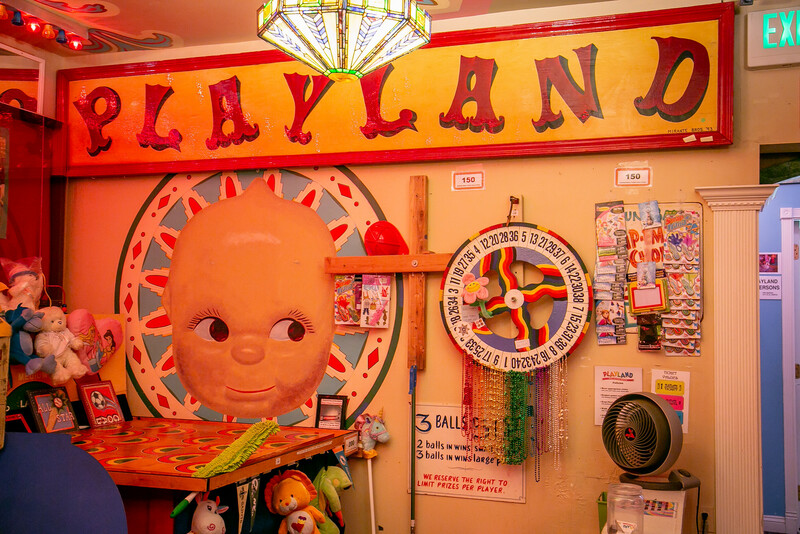 Playland Not at the Beach, at 10979 San Pablo, El Cerrito, will meet the same fate. Oh no! 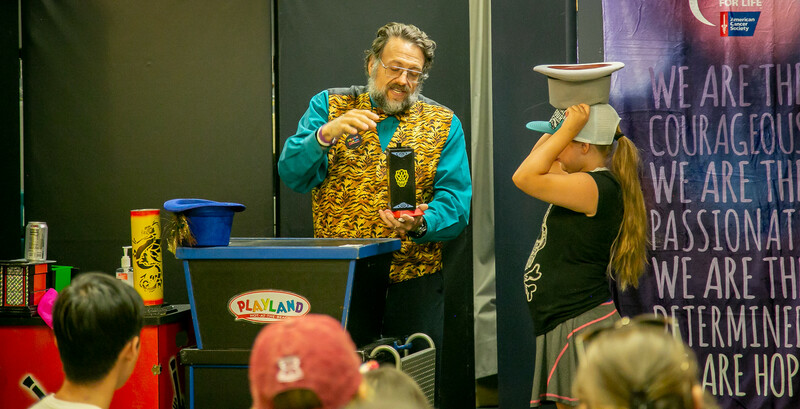 The end of a ten-year run of being open to the public. 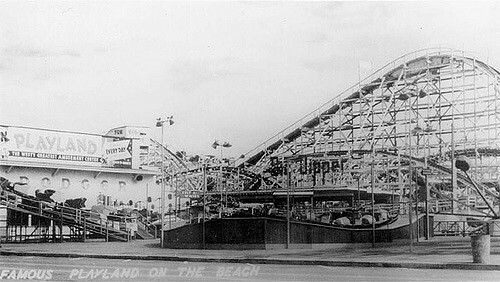 It will close for good on Labor Day, as did Playland at the Beach 46 years ago. 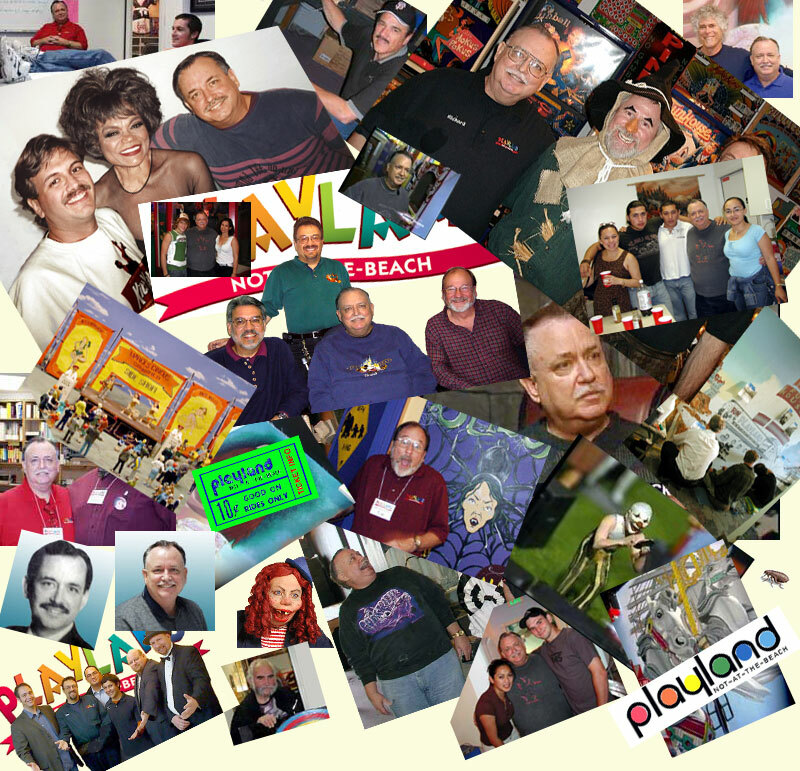 Richard Tuck was the force behind creating Playland Not at the Beach. That was at home. 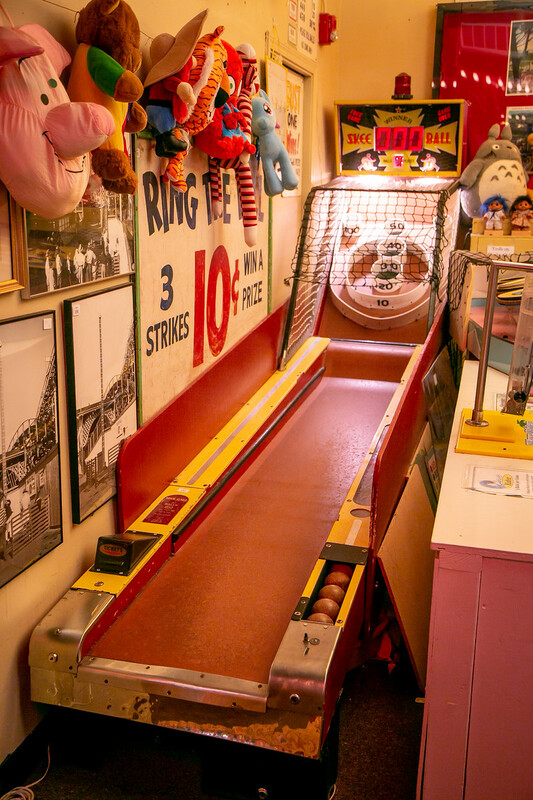 Inside Playland Not at the Beach are several other massive Tuck collections. 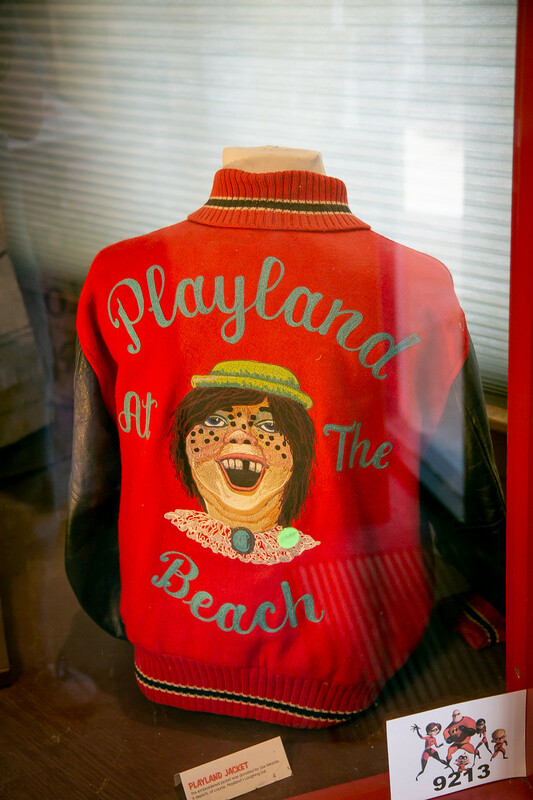 One of the collections is of all things Playland at the Beach. 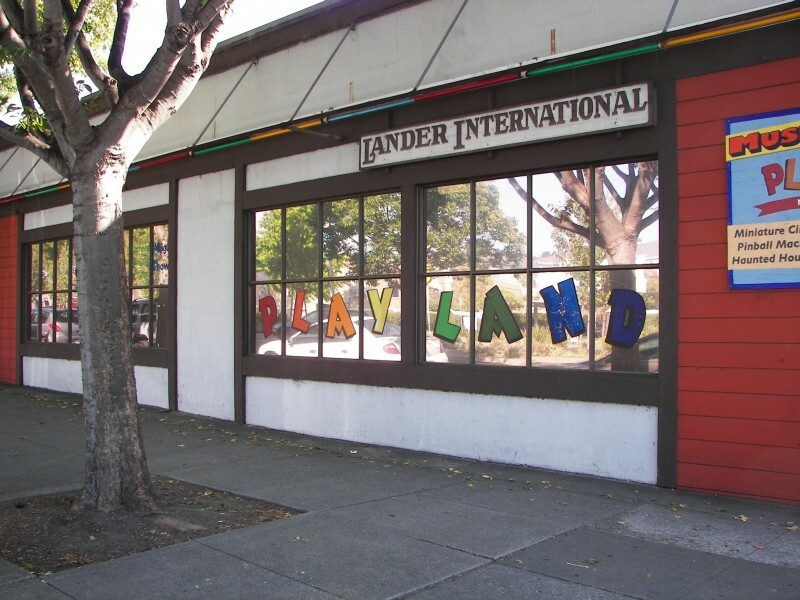 In 2000,Tuck purchased a 10,000-square-foot building that had been a Blue and Gold Food Market on San Pablo for his executive search firm, Lander International. 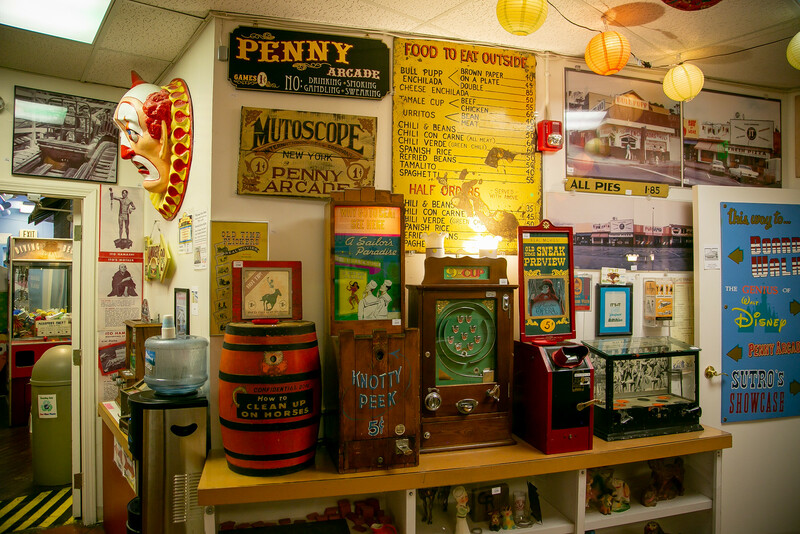 Tuck used the rear of the former store as a place to keep his collections, including Playland artifacts. 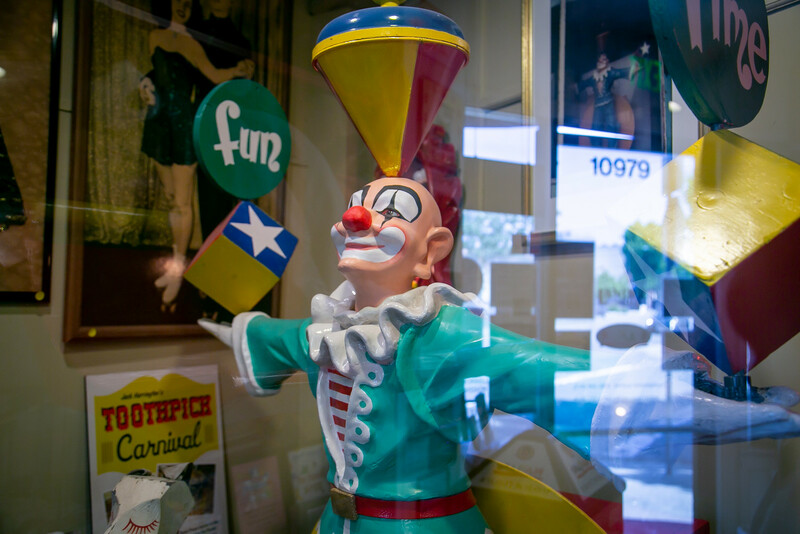 Next step – Tuck becomes friends with Charles Marvin Gold, Joe Mirante and Dave Warren, Playland collectors. 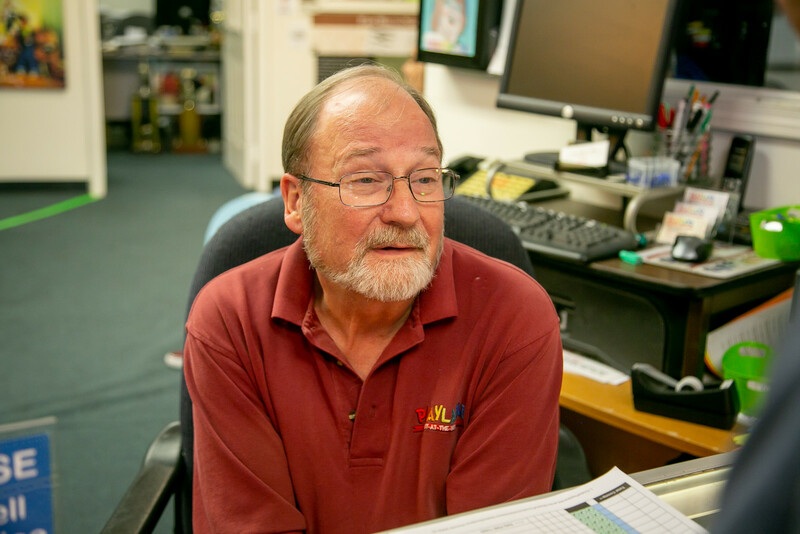 Next step – community members volunteer to organize and catalog his collections. 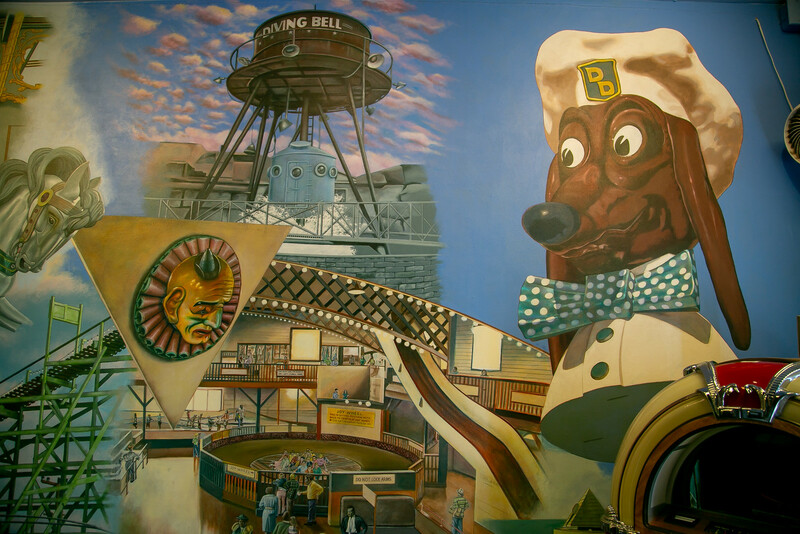 Next step – Tuck decides to turn the Lander International building into a museum. 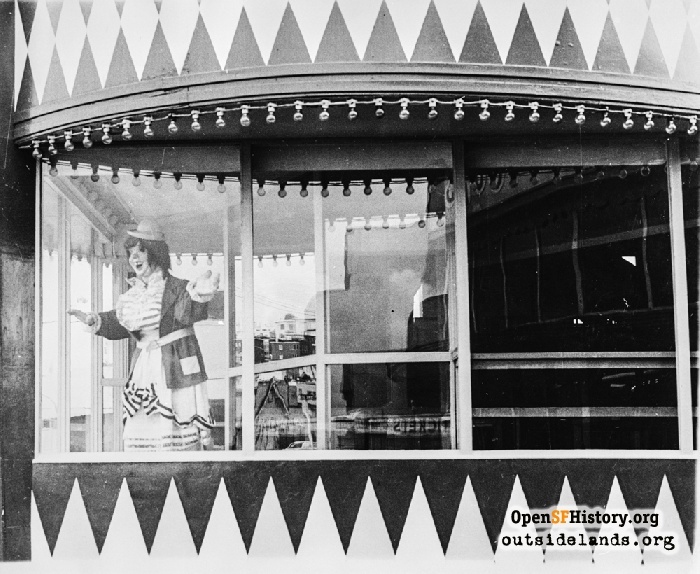 After eight years of design work and construction, Playland-Not-At-The-Beach opened on May 31, 2008. 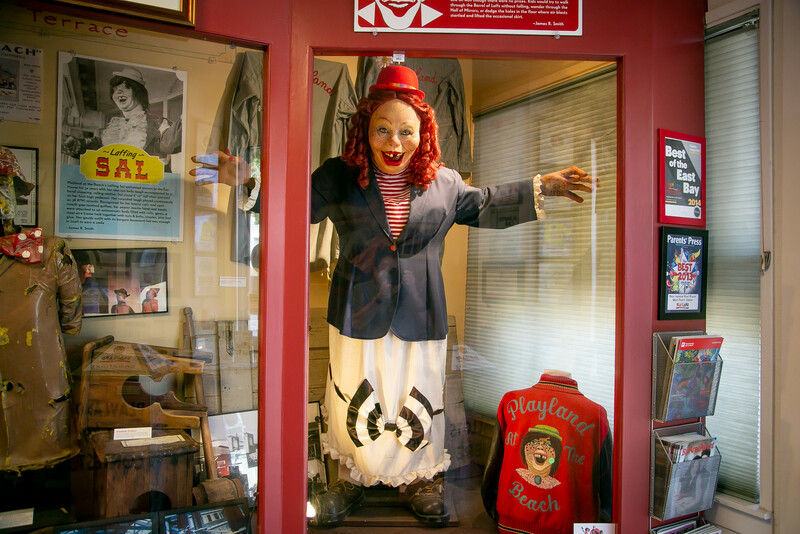 If there is one thing that people know about Playland at the Beach, it is Laffing Sal. 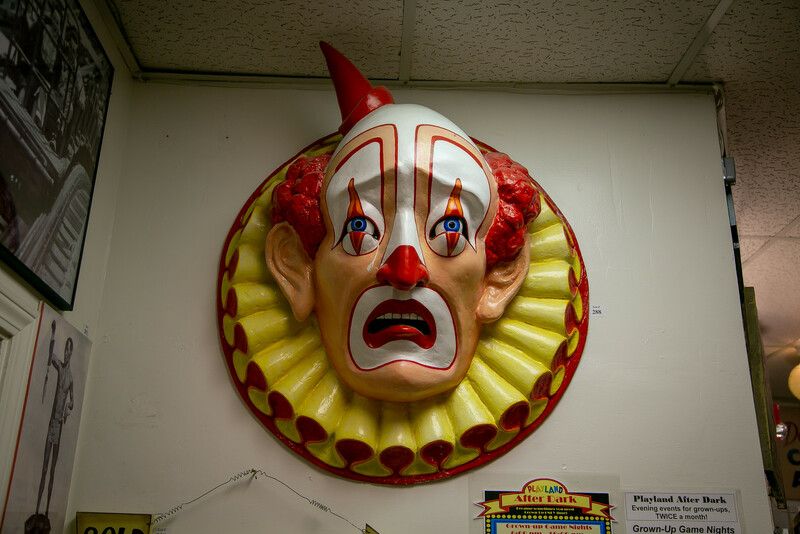 Playland had multiple Laffing Sals. In all, there were at least 250 Laffing Sals out in the world. Tuck had two. 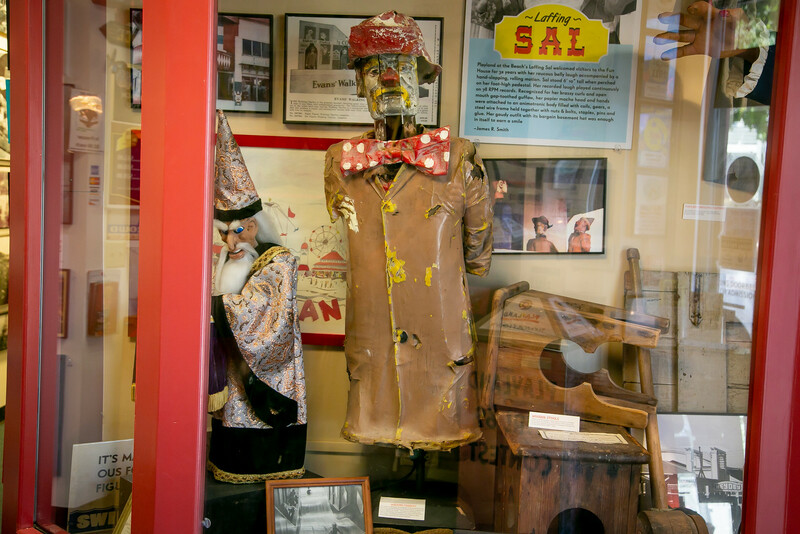 The website: “We actually have two very different Laughing Sals. 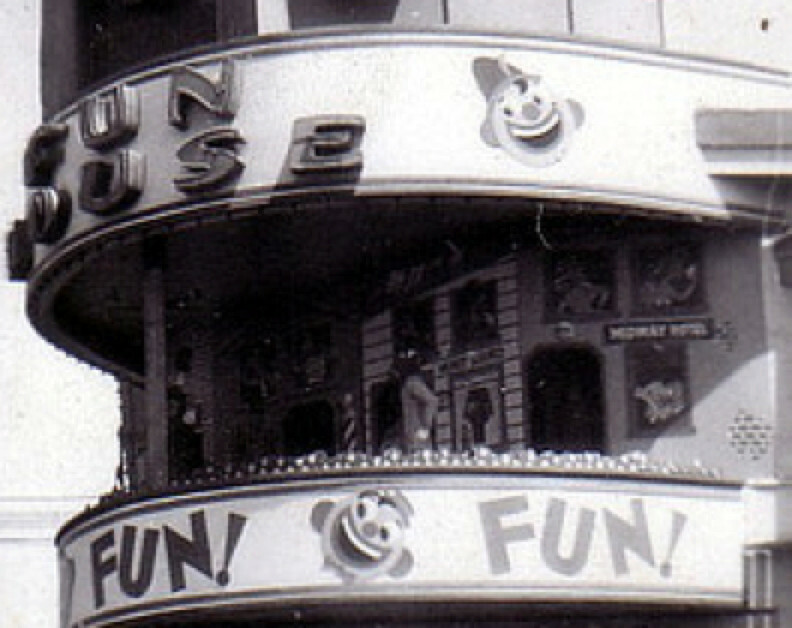 Idora Park, Laffing Lena’s LooneyLand, formerly the Wacky Shack. 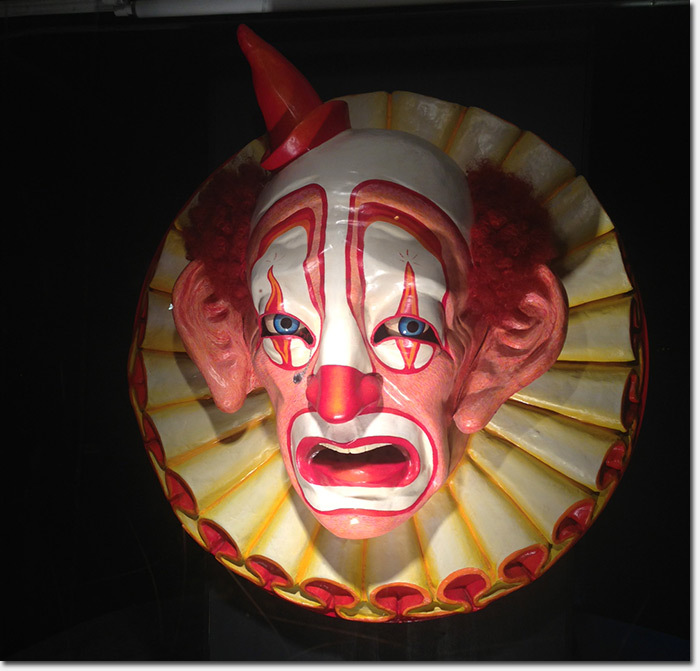 “One is from Idora Amusement Park in Ohio, the other was newly constructed for us by Bump in the Night Productions. 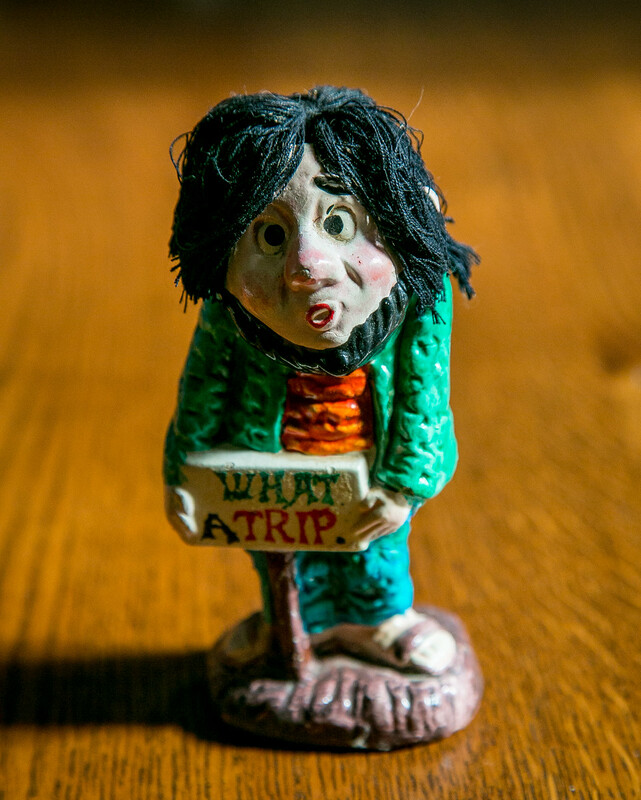 This – “C. 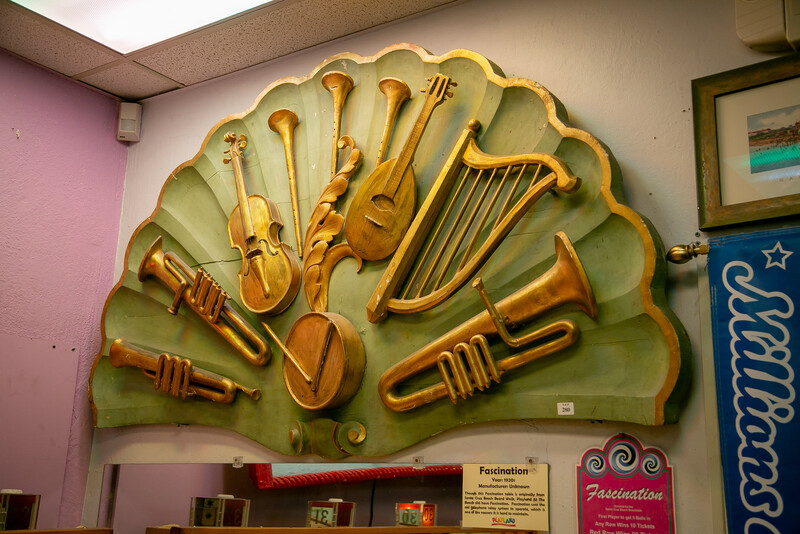 W. Parker Carousel Rounding Board — From a 1903 carousel comes this fabulous ornate hand carved piece. 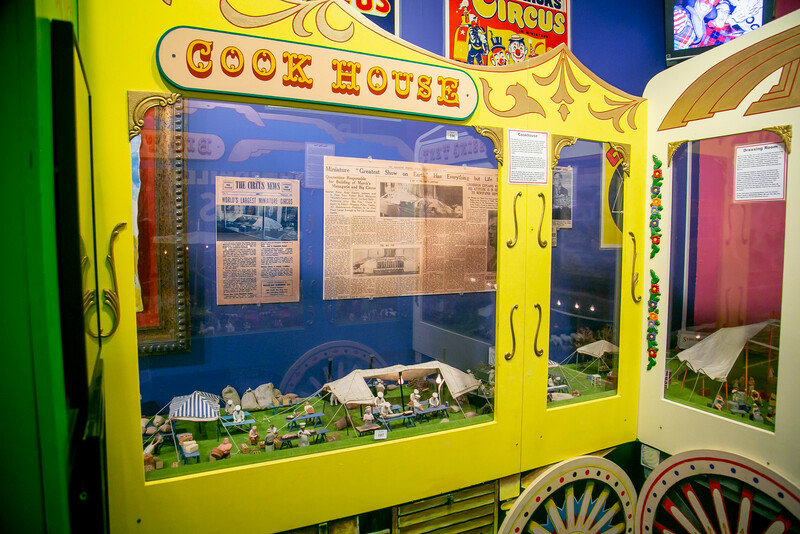 On loan from Dan Fontes.” Rounding boards are the decorative panels which are fastened to the top of carousels. 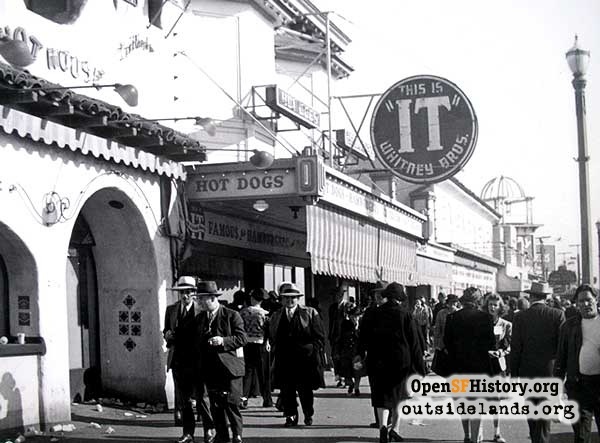 The It’s-It ice cream sandwich was invented in 1928 by George Whitney and sold only at Playland-at-the-Beach for 40 years. 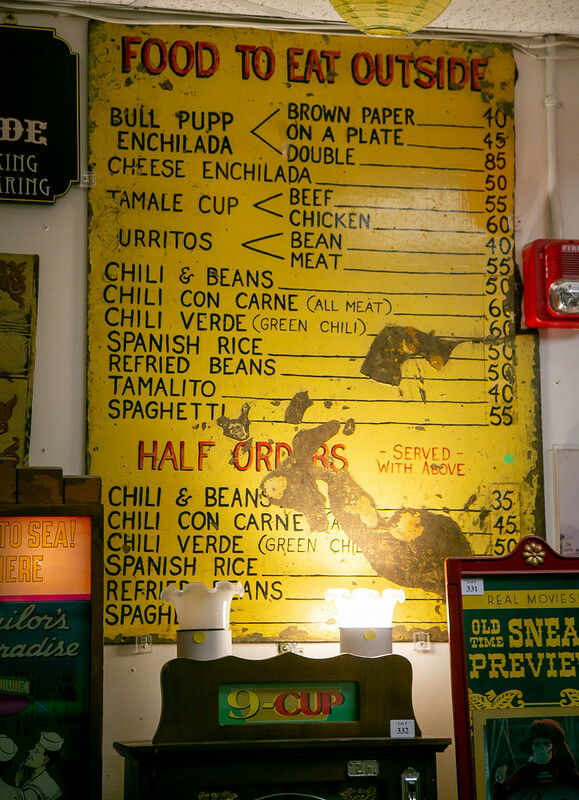 Other than the It’s-It, there the food had a definite Mexican character. 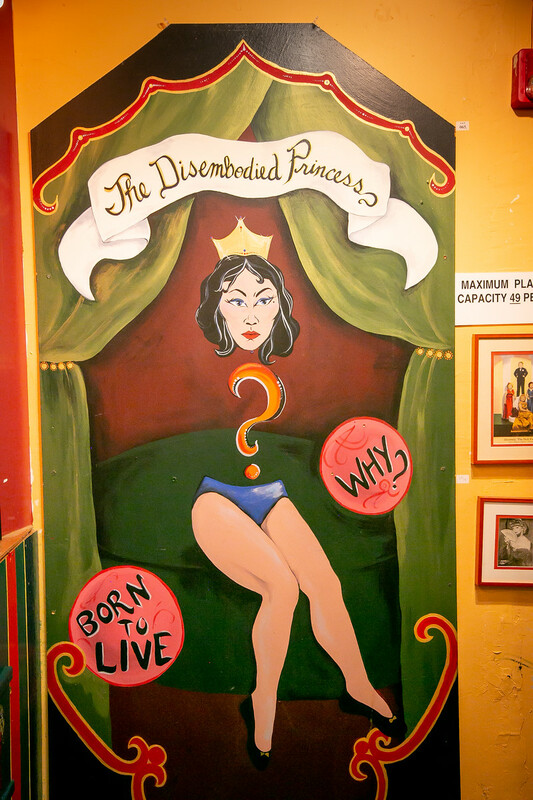 Ask yourself no longer. Here it is. 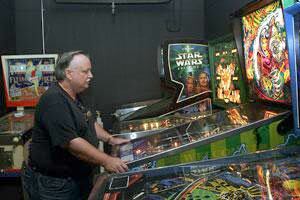 The Champion of Arcade Games. Once and future and forever and ever. 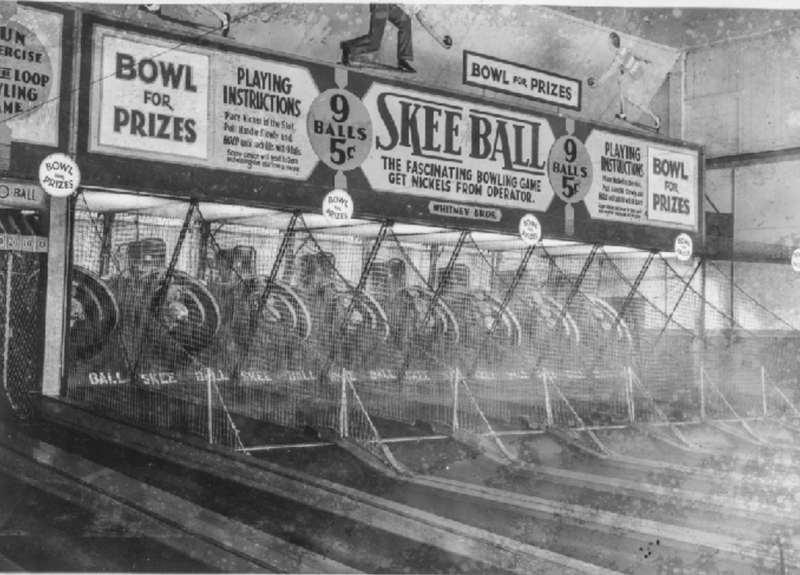 No contenders – Skee-ball. 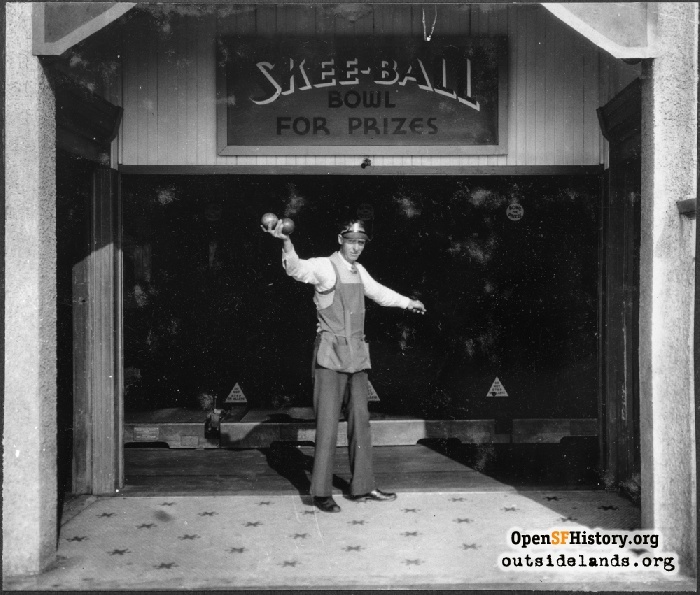 Bowl for prizes! Bowl for pride! Be fierce! 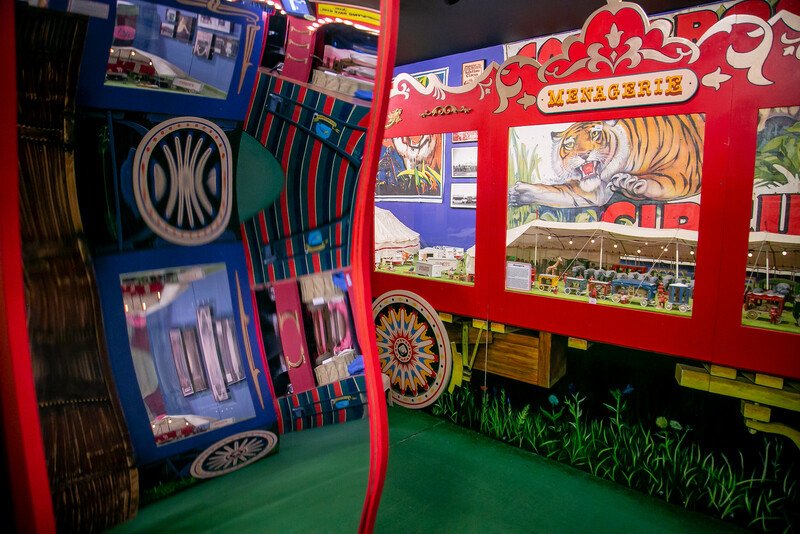 I wanna play – NOW! 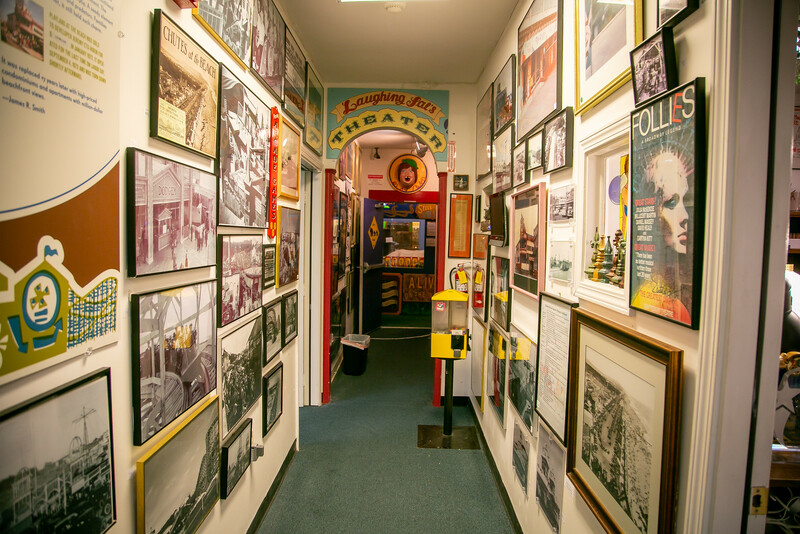 There are hundreds of framed photographs of Playland. 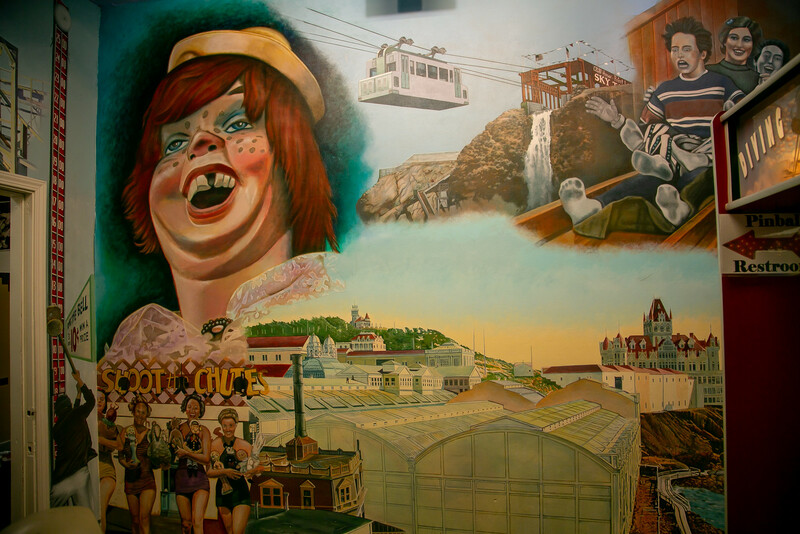 As we walked in, John Storey told stories of what he remembered of his childhood visits to Playland. 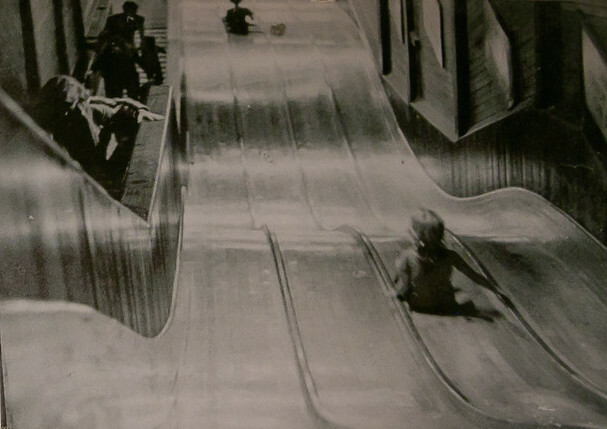 One memory – a long wooden slide. 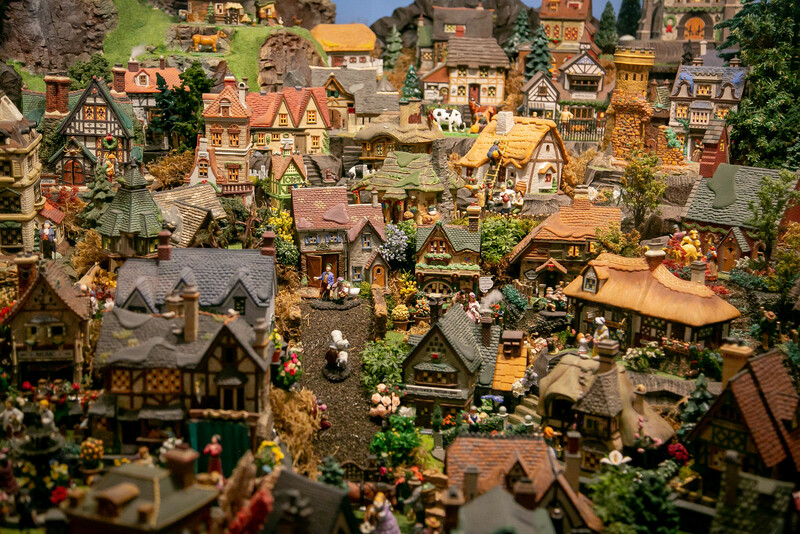 Borrowing a page from Ursala LeGuin’s The Lathe of Heaven, John’s words produced action. 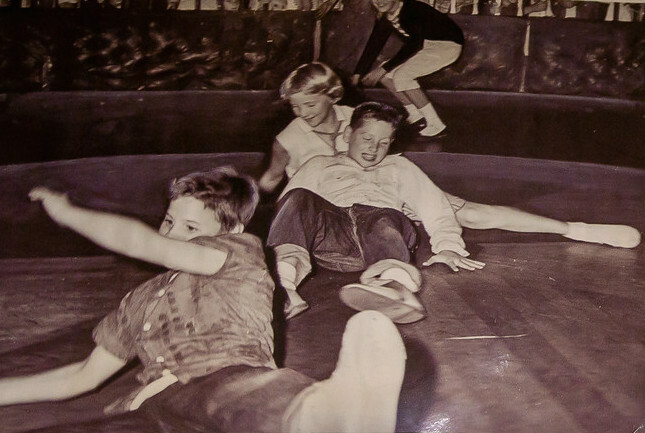 A photo of the slide. 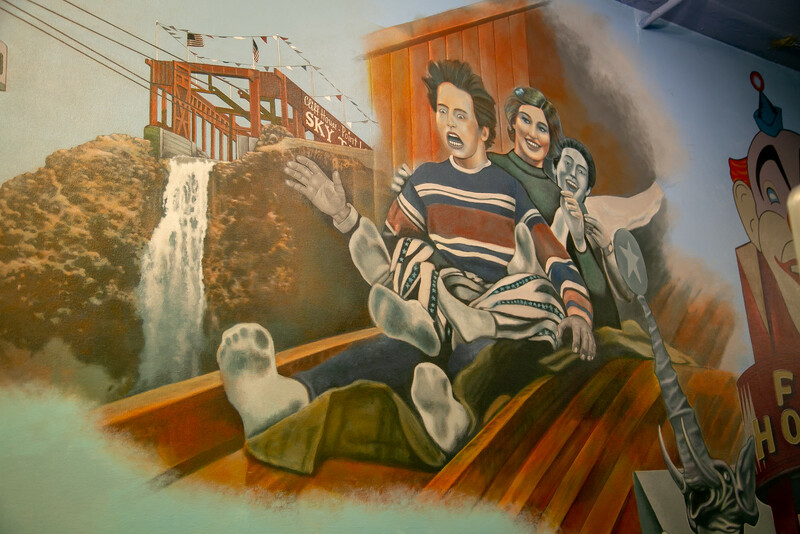 We turned the corner – a mural! The same slide that Storey imagined into being. 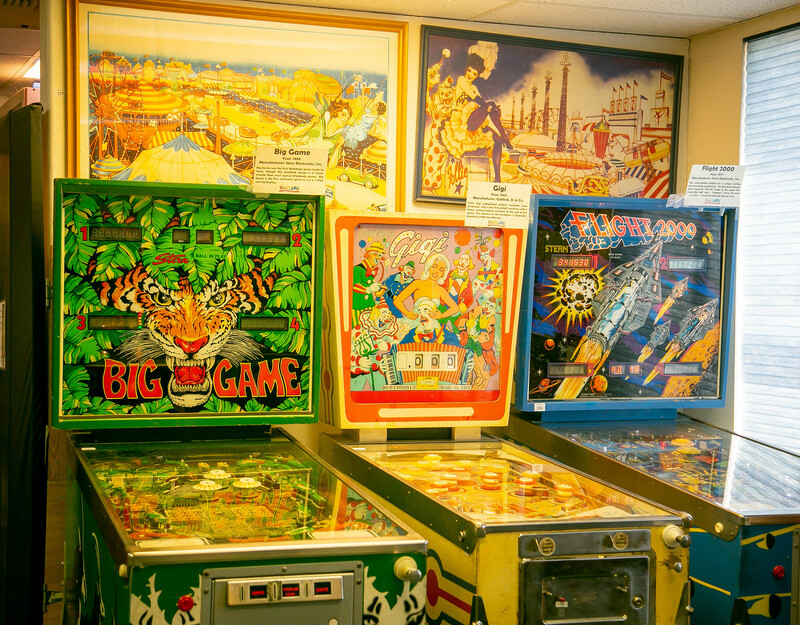 Aside from Playland artifacts there are several rooms filled with vintage pinball machines. The names rock on their own, no? They are set on free play at all times. Play as much as you like. What a deal! 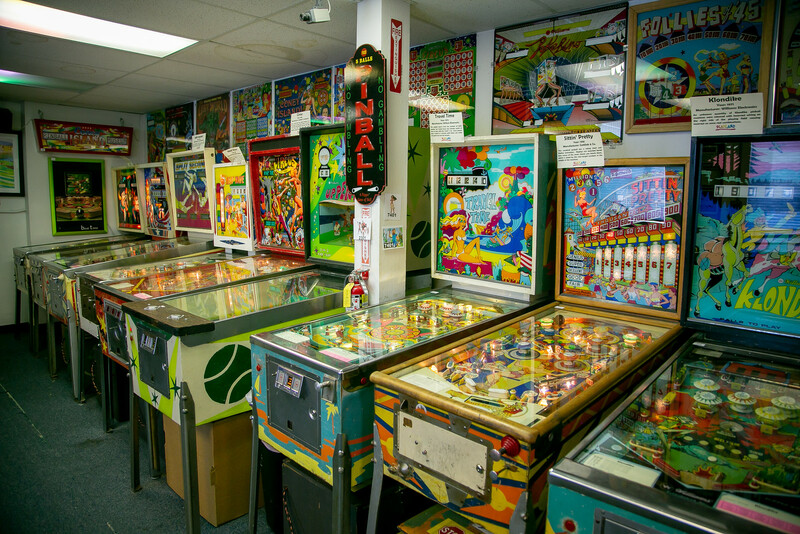 I had my minor brushes with pinball, first with Peter Korn at the “Dirty Drug” (formally known as the Penn Luncheonette) on Walnut Street in Philadelphia when I was at Penn and then with Marshall Ganz at the Salinas Greyhound station on West Gabilan when I was working in the UFW legal department across the street. 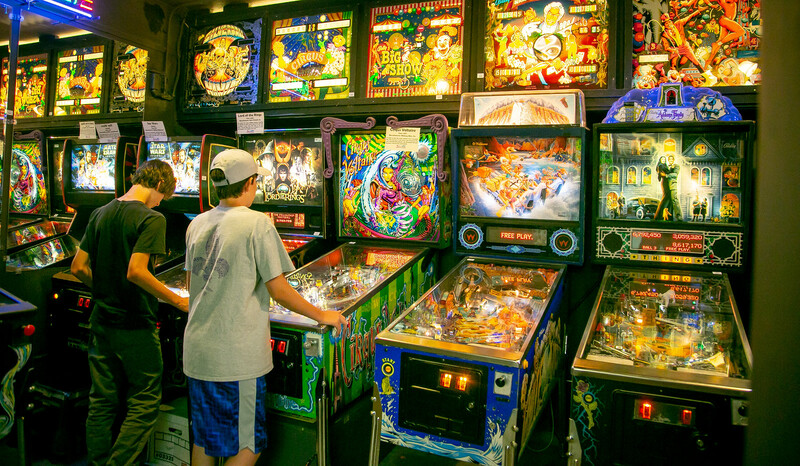 I know people who have had full-blown affairs with the game – pinheads to be sure. I understand the allure. Their joy and focus is good to see. And the Who’s Tommy album has a special place in my heart as it came out in the hot, humid Pennsylvania summer before I started college. 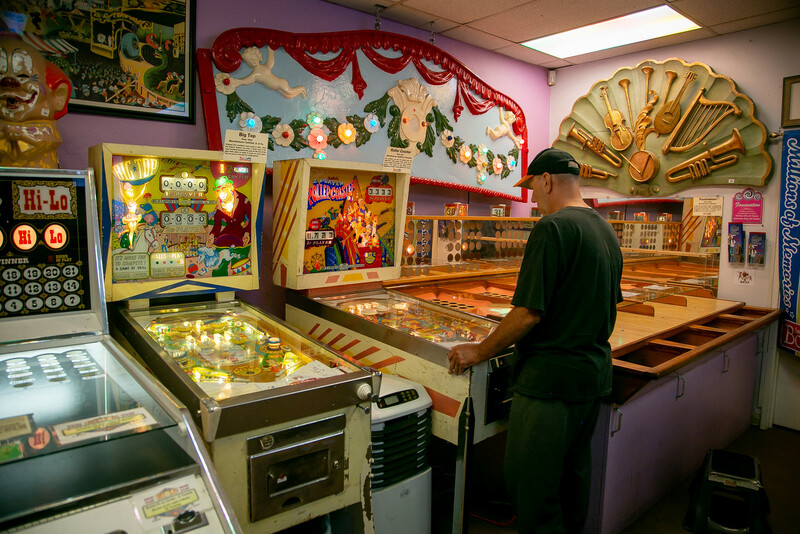 I am slowly but surely building a post on Silver Ball Gardens, a pinball arcade that opened in Berkeley in 1968. If you have any photos, please let me know. 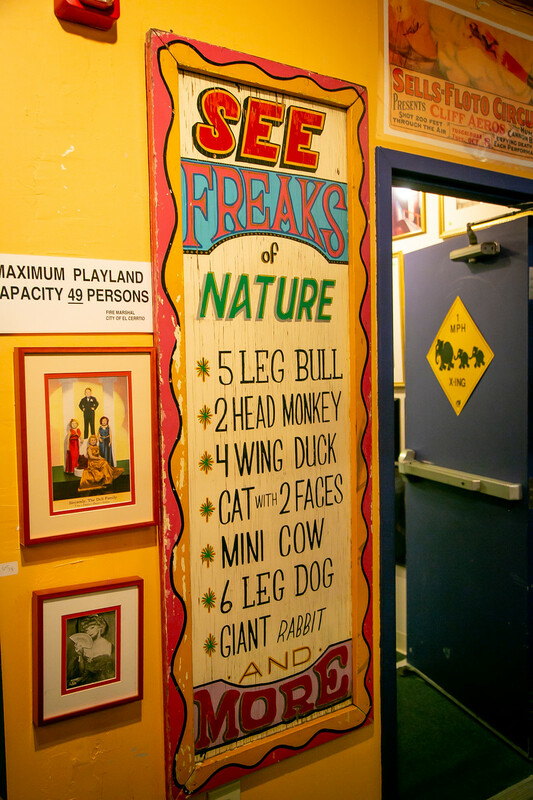 Amusement parks are not unlike circuses, and the circus is well represented at Playland Not at the Beach. 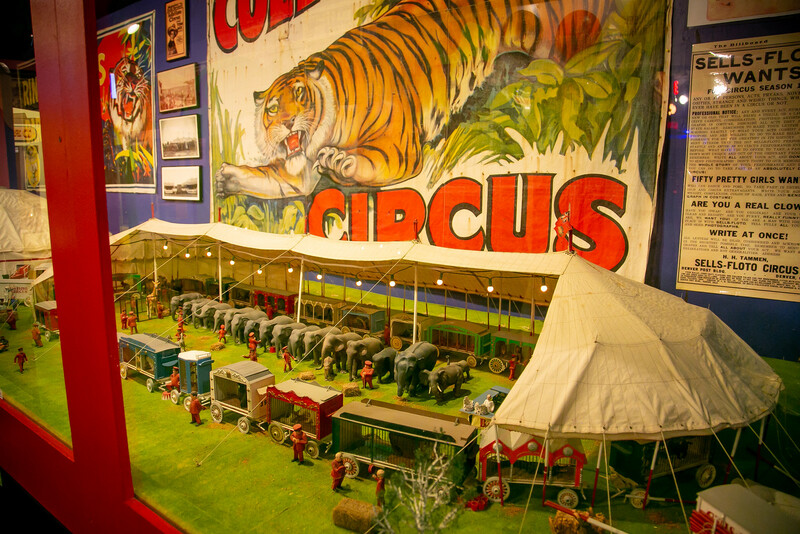 Which brings us to the Marcks Family Miniature Circus. 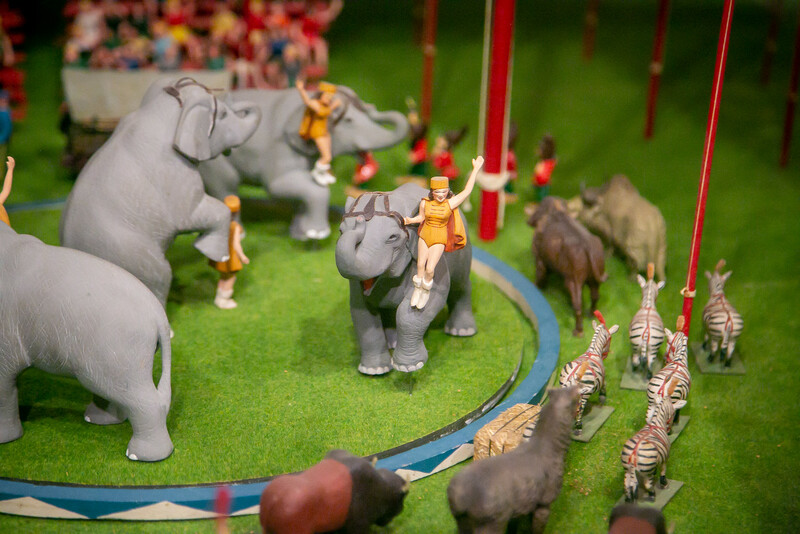 The “Circus World” exhibit features a miniature circus hand-carved by Don Marcks depicting the 1930s Sells-Floto Circus. 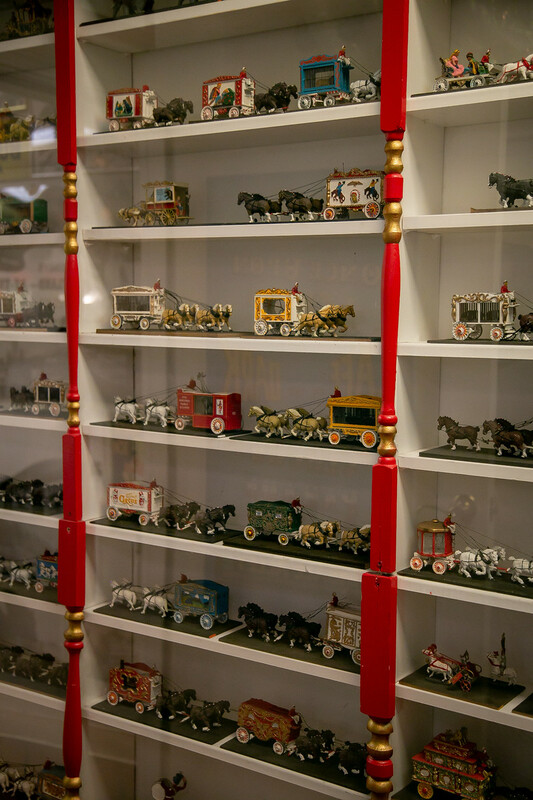 Giant brightly-decorated wagons display the thousands of miniature pieces of the Menagerie, Big Top, Dressing Rooms, Cook House, Dining Tent and Horse Farm. 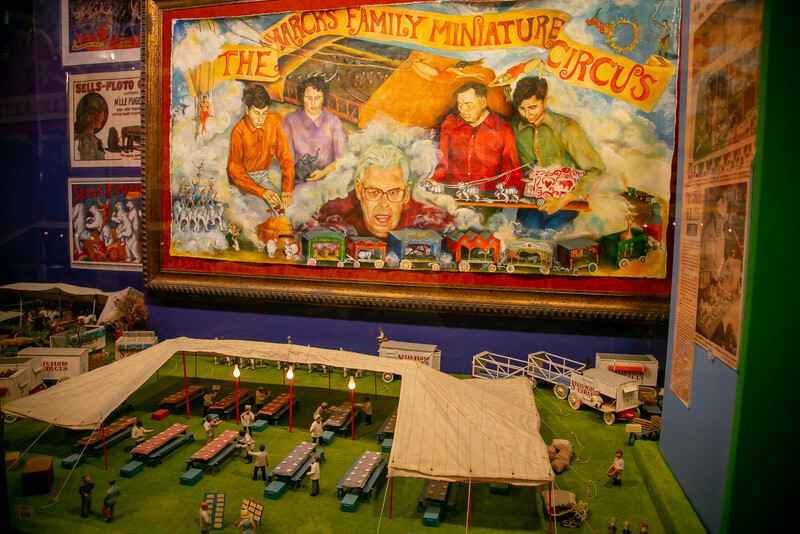 The Marcks Miniature Circus was originated by Isaac Marcks. 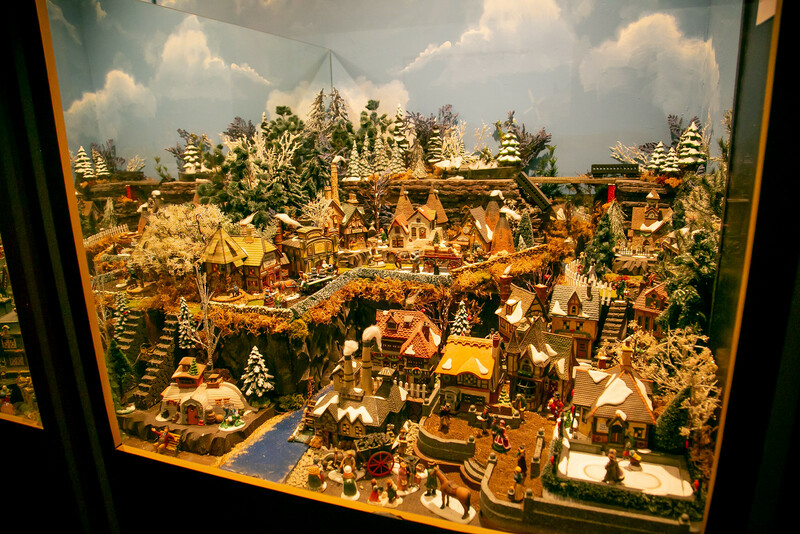 The display consists of thousands of items of hand-carved or assembled by Isaac and his son Donald over a 50-year period. 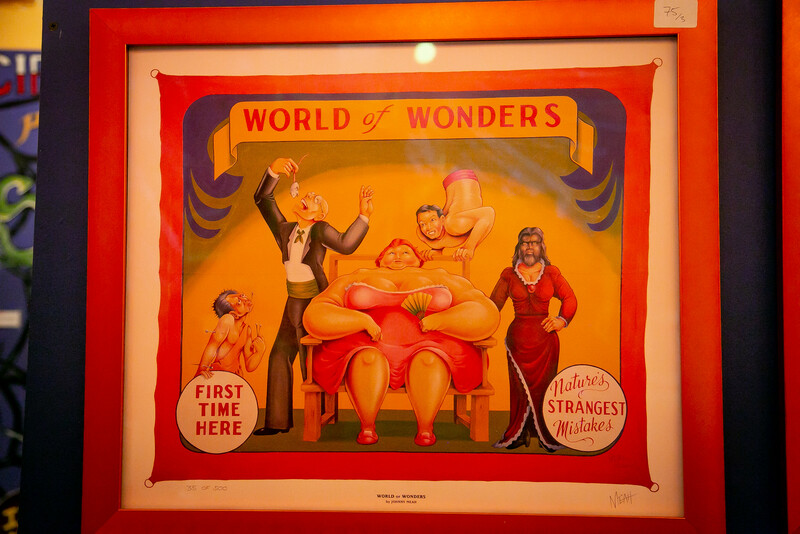 Donald Marcks, publisher of the weekly publication Circus Report, died in 2003. 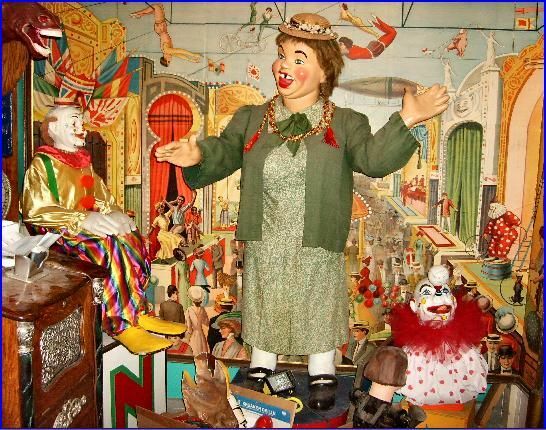 He and his wife Martha donated the circus to Playland Not at the Beach. 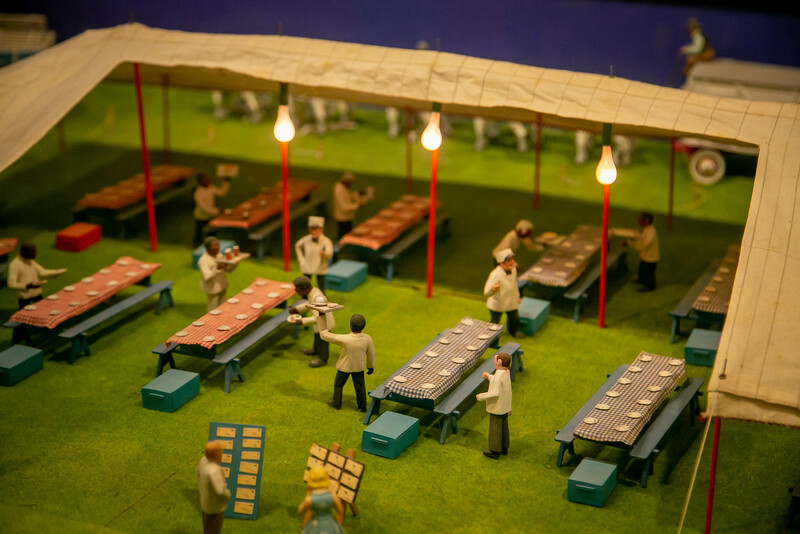 There are also shelves and shelves of figures that didn’t fit in the dioramas. 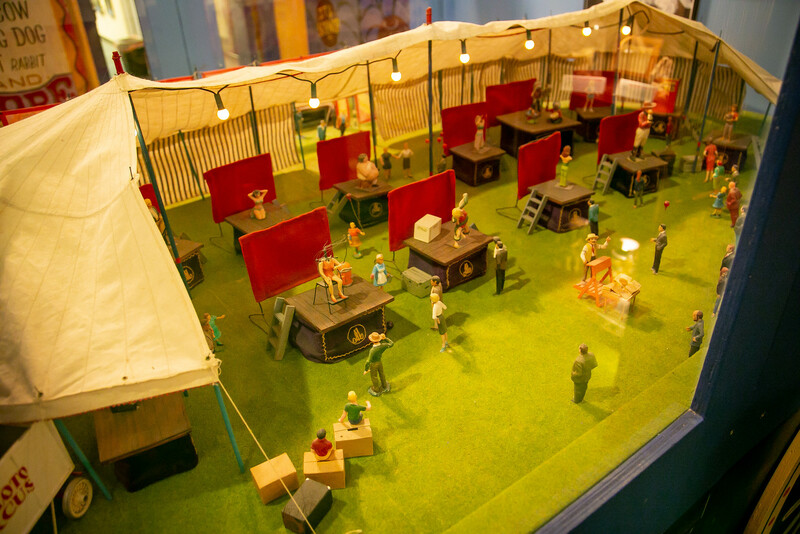 These are not the only dioramas. 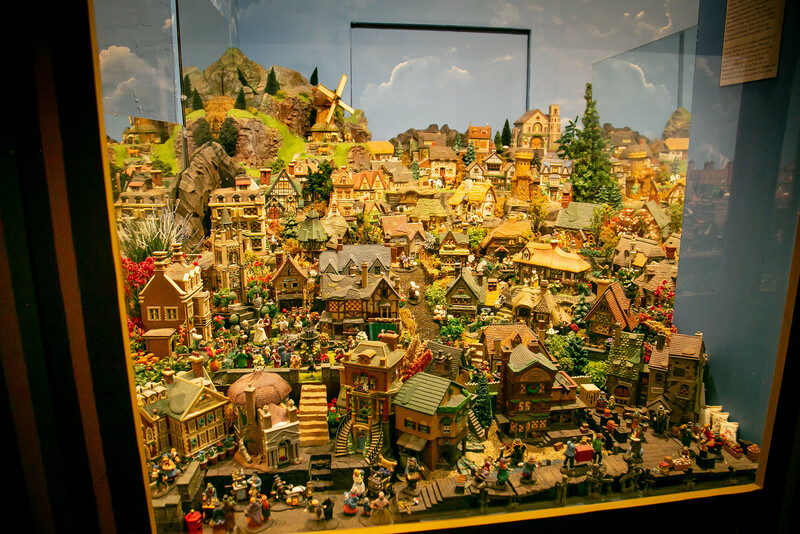 Many of the novels by Charles Dickens are celebrated in dioramas – Patrick Hamilton’s woodworking and a painting by Ed Cassel, designed by Schuyler Robertson. Richard Tuck died in 2011. TIm Sauer and Frank Biafore had been with Tuck from the start, and they have soldiered on since Tuck’s death. But time has run out. The building has been sold. Condominiums will be built with retail at street level but no parking for retail. 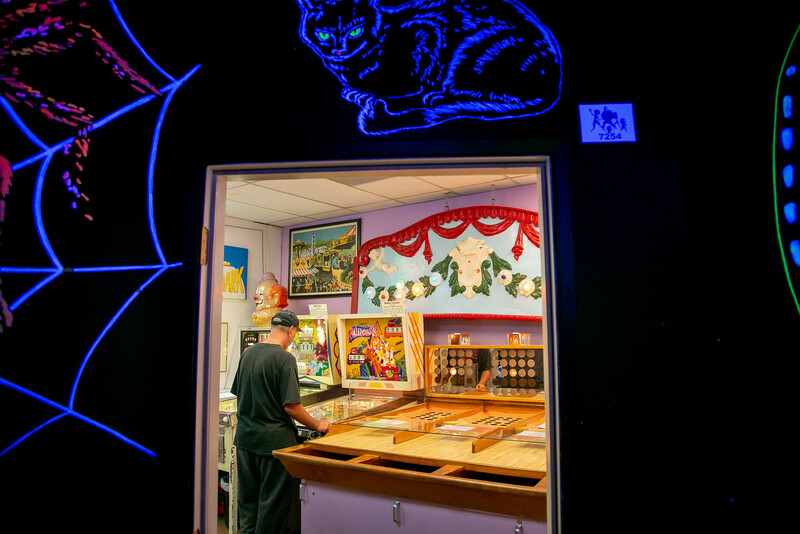 Berkeley, Albany, El Cerrito – San Pablo Avenue slipping away – so it goes. 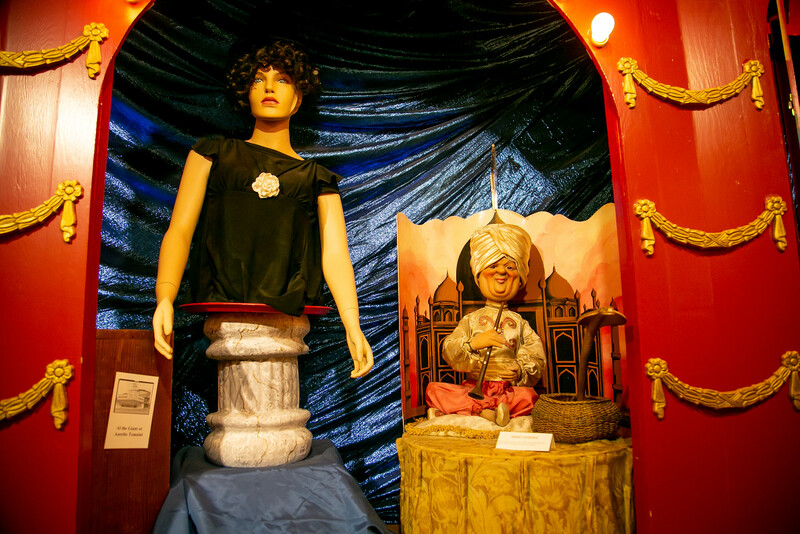 The point is – this is a very special place of magic and it should be seen. There isn’t long. 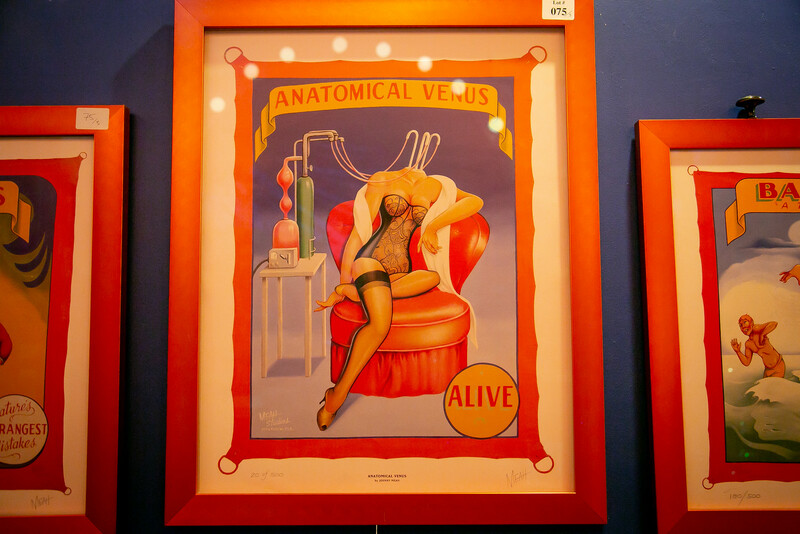 Absent extraordinary intervention, everything will be auctioned off. 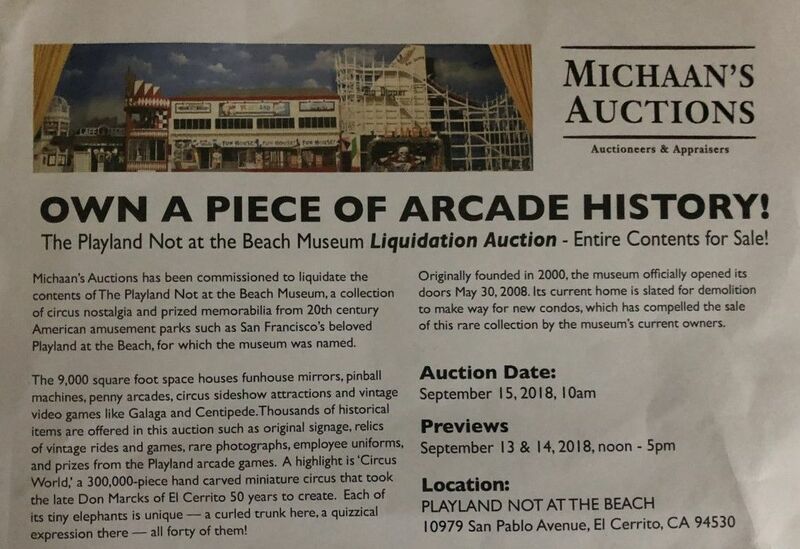 It will be a great auction, but that’s not the point. It is a treasure. 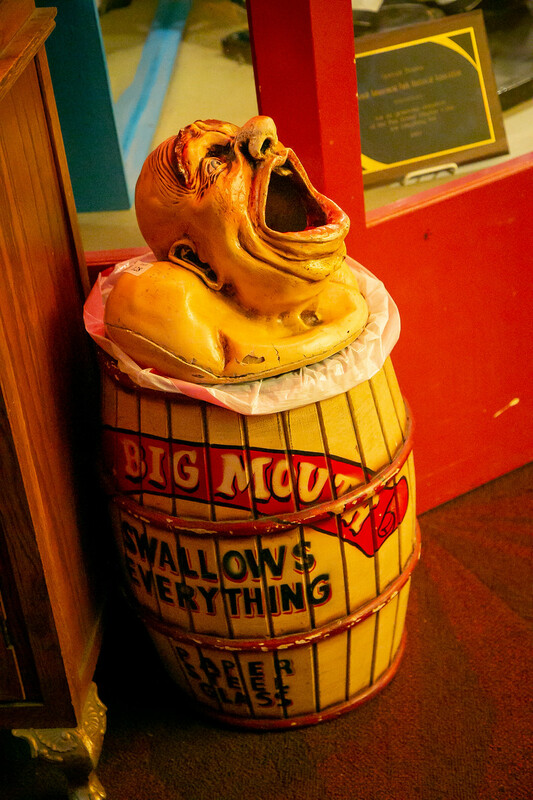 “Hey – Earl is gonna dig this. 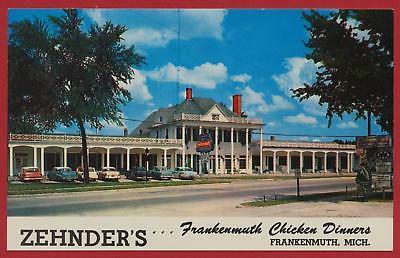 In the 70’s he’d drive up to Frankenmuth, not even half an hour north of Flint. 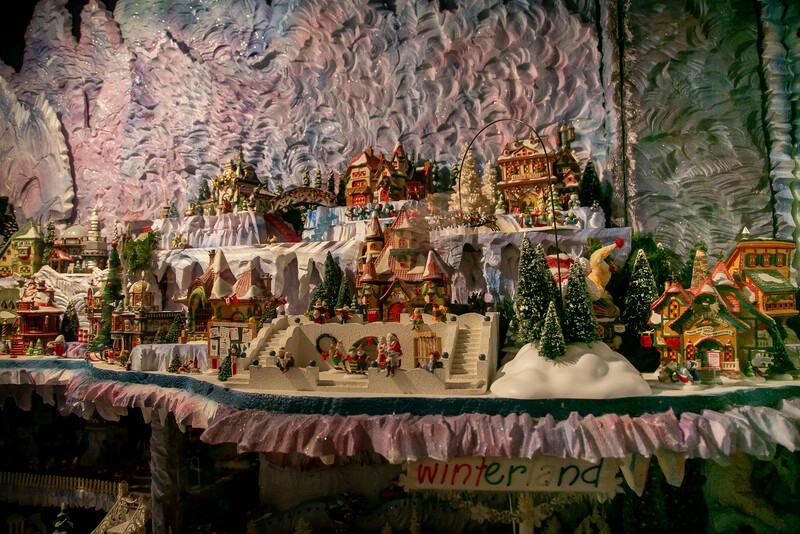 “He’d eat at Zehnder’s – all you can eat. 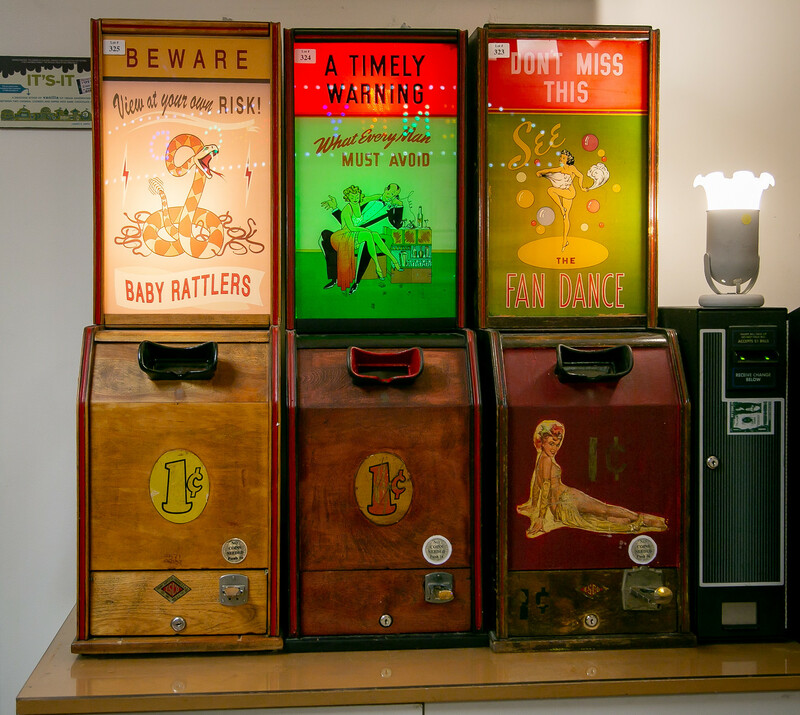 “And then he’d go to the Memory Lane Arcade. 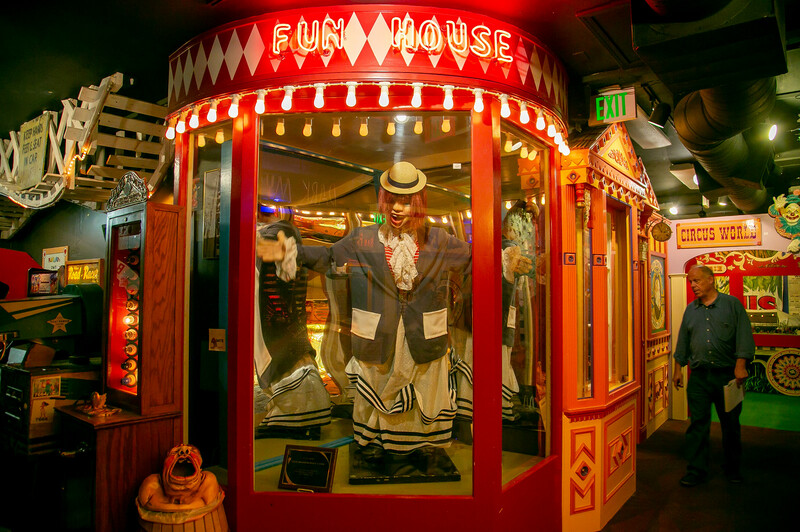 “That’s the whole reason he came out to San Francisco in 1972, to see the demolition of Playland with its Laffing Sals.” We know that fact – it was part of the are-you-really-my-twin test that my friend gave Earl last year. Fascinating. How about the post? How is it? Thank you so much for your blog. I enjoy it immensely, especially this article. 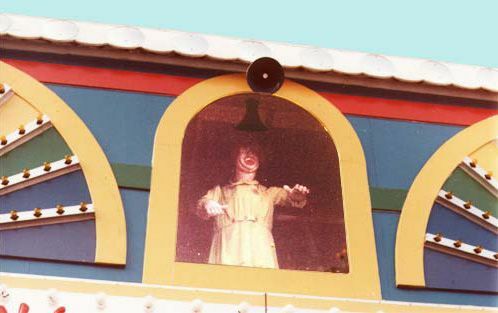 I went to Playland at the beach as a kid. 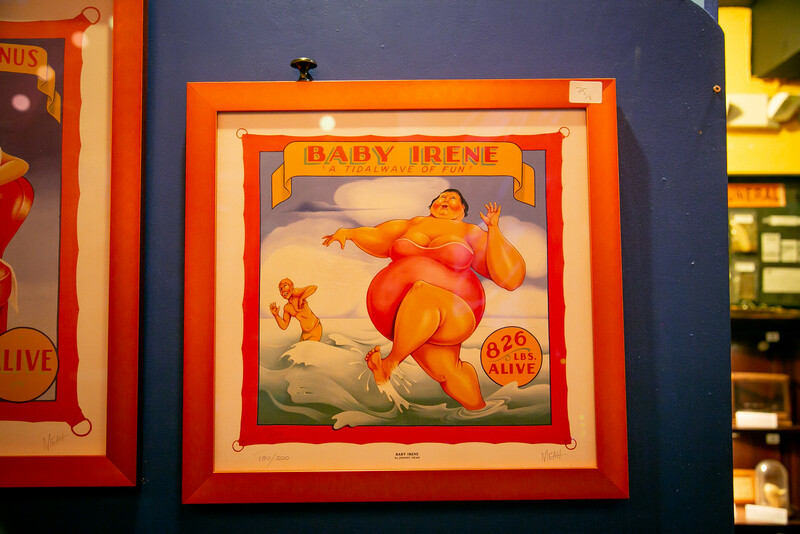 I will definitely go to see this before it closes. 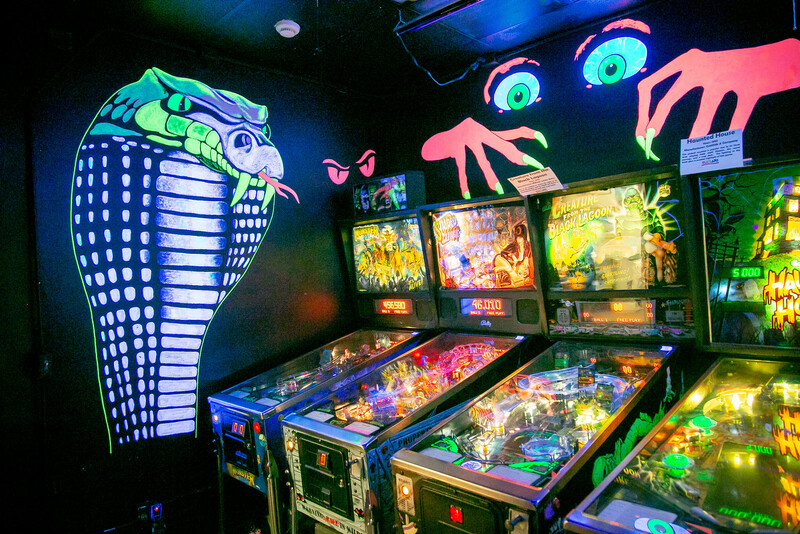 What a shame it is closing.